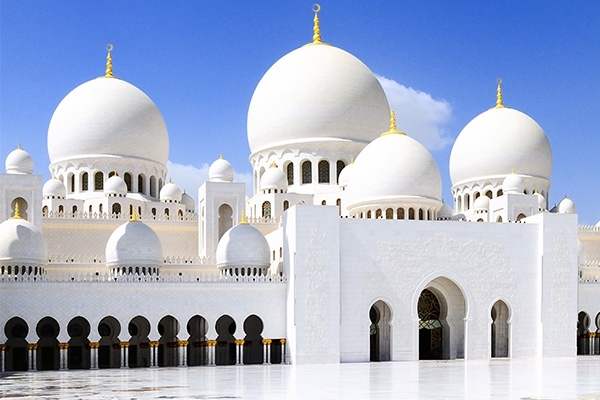 Explore the fascinating United Arab Emirates, plus Qatar and Oman in boutique-style and comfort on board the 686-passenger Azamara Quest with exclusive shore excursions just for our group! 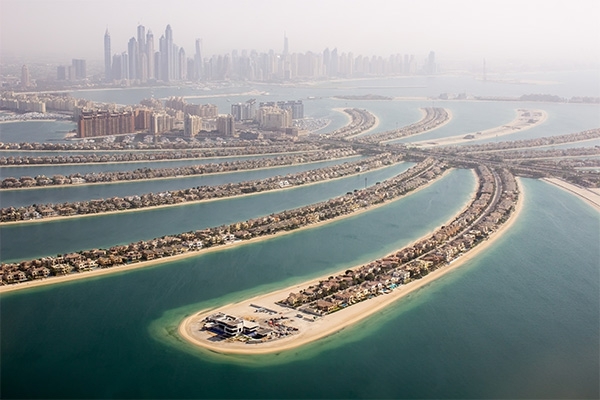 Start in Dubai, the sci-fi-esque city of iconic skyscrapers and palm-shaped islands. Known for its innovation and indefatigable energy, the city bustles with a mix of cultures from all over the world. 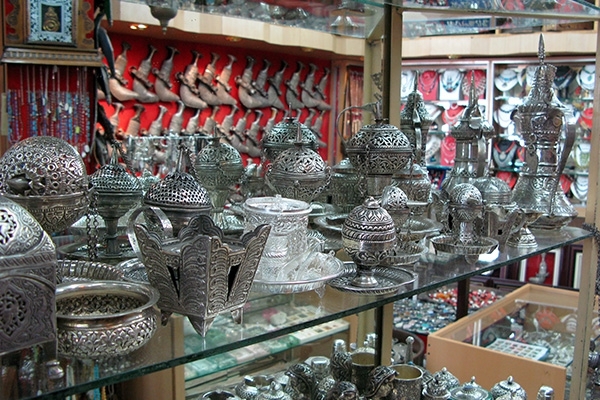 Get the view from the worlds’ tallest building, explore the labyrinthine lanes of the heritage Bastakia Quarter and marvel at the exotic gold souks overflowing with every kind of jewelry imaginable. Shore excursions create many different experiences; all excursions are exclusive to our group and accompanied by study leader Paula Swart and our local guide. 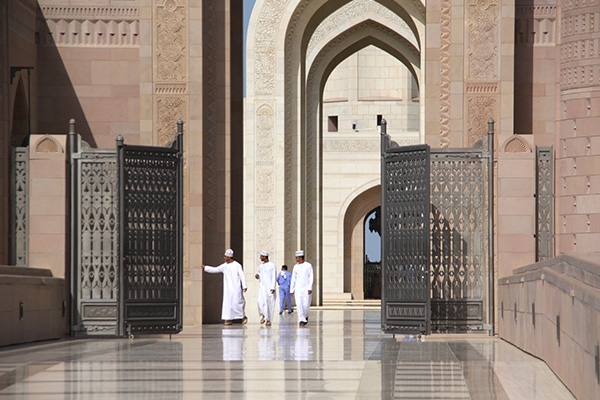 The short sailing distances allow for extended excursions at each port (with two full days in both Muscat and Abu Dhabi) with plenty of time to get out and explore. 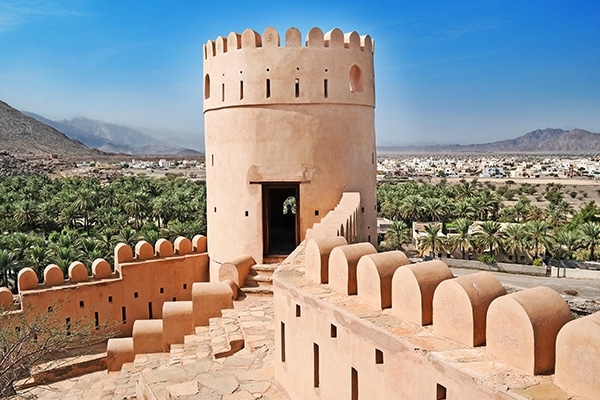 In Muscat visit the elegant Al Bustan Palace and the souqs of the historic centre and venture further afield to the 17th century forts of Nizwa. 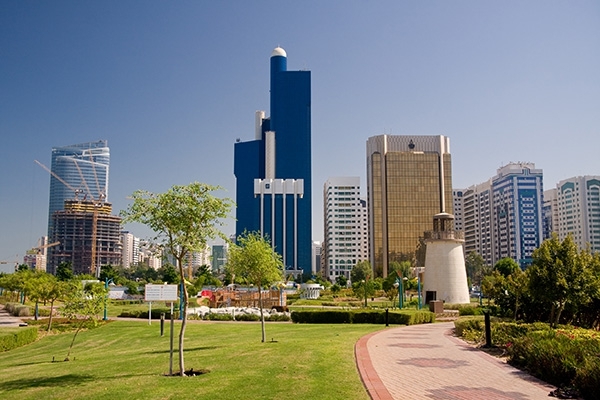 In Bahrain, learn about the 3rd millennium BC Dilmun civilization and the history of pearl diving. 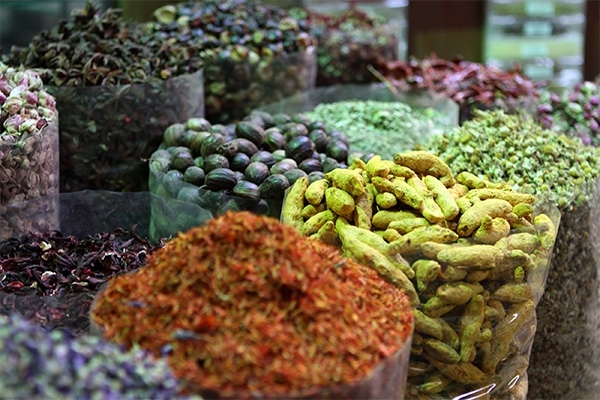 In Doha, wander the atmospheric Souq Waqif, visit the world-class Museum of Islamic Arts, and travel to the Al Zubarah Fort. 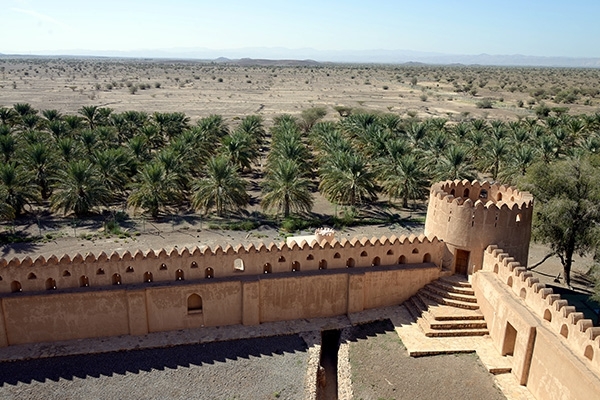 Architecture and art lovers take note: you’ll have the chance to visit eight great Middle East museums. 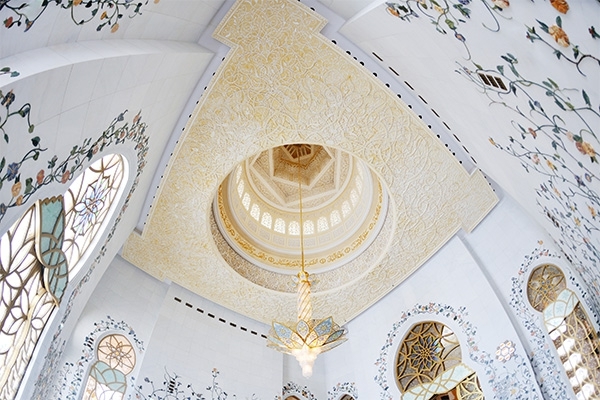 The UAE boasts the largest cluster of cultural buildings of the 21st century including the much anticipated Louvre Abu Dhabi designed by Pritzker Prize-winning architect Jean Nouvel , the Frank Gehry-designed Guggenheim Abu Dhabi, inspired by the region’s ancient wind-towers and the astounding Norman Foster-designed Zayed National Museum . The scenery is splendid, the excursions fascinating, and comforts on board delightful. It all makes for an exhilarating experience – come on board! Accommodation based on double occupancy in selected cabin category; private guided excursions for our group as indicated in the itinerary including entrance fees; meals as specified in the itinerary; select standard spirits, international beers, and wines; bottled water, soft drinks, specialty coffees and teas; self-service laundry; shuttle service to and from port communities, where available; all excursions as indicated in the itinerary including entrance fees; all gratuities; fully escorted by Paula Swart. 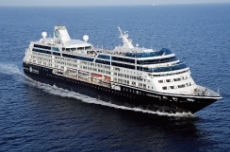 We’re on board the 686-passenger Azamara Quest; the smaller ship size lets us dock in ports where other ships can’t, eliminating those long drives for shore excursions. The ship is fresh from major enhancements (2016), presenting stylish staterooms, a blissful spa, and a choice of dining options. Select standard spirits, international beers and a changing selection of red and white wine are all included in the price of your cruise. Staterooms feature twin or queen size beds, flat-screen TVs, mini-bar, personal air conditioning, safe, hairdryer, French bath products, bathrobe and slippers. 24-hour room service. 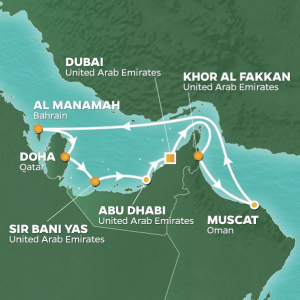 "The jewels of the UAE unfolded as we sailed on."